With a Bio-Fighter® Germicidal UV Light, you could be enjoying improved indoor air quality in your Winter Haven, FL home quickly and affordably. Have you thought about indoor air quality in your home or business lately? Today’s Winter Haven, FL buildings, both residential and commercial, are built to keep out the heat and humidity better than ever before. However, in keeping all that air outside, the increased insulation also works to keep the same air inside, which can lead to horrible indoor air quality. 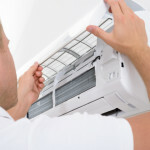 At Winter Haven Air Conditioning™, we want to change that. Many people are forced to take days off school or work and/or visit a doctor or hospital because of illness caused by biological pollutants in indoor air. Asthma alone accounts for about 14 million missed school days each year. According to the EPA, poor indoor air quality is ranked among the top 5 environmental risks to public health. Negative health effects may still be experienced years after exposure to indoor air pollutants. Heating and cooling systems can become a breeding ground for biological contaminants, such as viruses, bacteria, and mold. Your HVAC system then distributes these contaminants throughout your home. Some diseases, including humidifier fever, are associated with toxins from biological contaminants that grow and thrive in ventilation systems. The good news is that germicidal UV light has successfully been used for a long time to combat biological contaminants, including tuberculosis, in healthcare facilities, and now you can have those same benefits in your home. 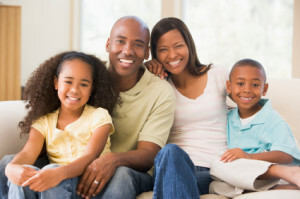 Why take a chance with your family’s health? You could be enjoying improved indoor air quality quickly and affordably. We can install a Bio-Fighter® Germicidal UV Light into your HVAC system. It is known as one of the most effective methods for eliminating harmful airborne pathogens from your home. Give us a call today at 863-293-3660 for more information and a free quote. Ultraviolet light filtration is a solution to contaminated indoor air. If you are suffering from low-quality indoor air, an ultraviolet light filtration system may be the answer. Many health problems are caused by contaminants found in your own home. Polluted air may contain mold spores that reproduce and spread throughout the home…. Did you know that your indoor air quality can be contaminated by products you are using? You might unknowingly be releasing chemicals and harmful substances into the air of your home with routine tasks. If you suspect you have a problem in your home, call us right away for indoor air quality testing. We provide reliable data, so you can make decisions to protect your health. Are you fighting allergies in Winter Haven, FL? 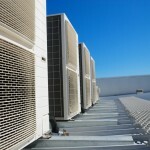 You may not have thought about your HVAC system as being a solution to your problems, but it can be. 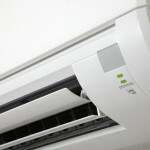 If you think about it, your HVAC system controls all of the air flow inside your home. We provide a few different solutions for allergy control in Winter Haven, FL, including indoor air quality testing, HVAC filters, ultraviolet light filtration, and routine HVAC maintenance. High humidity is a regular occurrence here in Winter Haven, FL, which can be an annoyance inside your home. Humidity provides the perfect growing conditions for mold, dust mites, and other pests. To prevent the health problems and potential property damage that could come from these contaminants, you can use your HVAC system for humidity control.